New Delhi: The Drugs Controller General of India (DCGI) has ordered Johnson & Johnson not to use talc raw material from its Mulund plant in Mumbai and Baddi unit in Himachal Pradesh for any production till further directions. 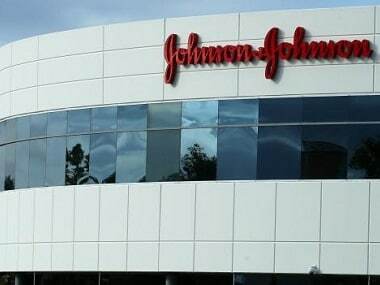 On the directions of the Central Drugs Standard Control Organisation (CDSCO), drug inspectors collected samples of Johnson & Johnson's baby powder from both the plants on Wednesday, amid reports that the product allegedly contained cancer-causing asbestos. Besides, over 100 samples were collected from wholesalers, retailers and distributors across the country, which will be tested to see if these complied with all prescribed regulatory and manufacturing standards and also for the presence of asbestos. A CDSCO official said according to the protocol, the manufacturer is "supposed to test for absence of asbestos" for all batches of talc raw material procured. "It is learnt that the manufacturer is not testing for absence of asbestos for all batches of talc raw material procured and testing them randomly," the official said. 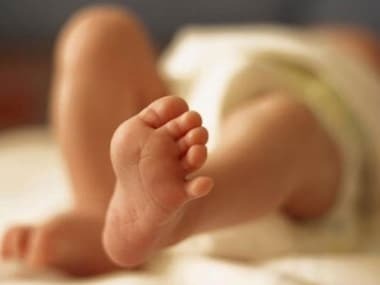 "We have prohibited the company from using any raw material, including talc, for the production of the Johnson and Johnson baby powder till further orders. The Baddi plant has around 82,000 kg of talc stored, while the Mulund unit has around 200 metric tonnes stored," he said. The collected samples will be tested at the Central Drug testing Laboratory. The company said on Wednesday they were "fully cooperating" with the CDSCO by providing tests and samples, and said Johnson & Johnson's baby powder is asbestos-free and doesn't cause cancer. The CDSCO, under the Union Health Ministry, said that over the next four to five days, drug inspectors will collect samples of all brands of the Johnson & Johnson talcum powder from wholesalers and distributors from 12-15 locations across the country for testing. "Samples of raw material as well as the finished product from retail stores are also being collected," the official said. A team of 100 drug inspectors have been deployed for the purpose. The effects of long-term unsafe asbestos exposure on human health are well documented and asbestos fibres are easily inhaled and carried into the lower regions of the lung where those can cause fibrotic lung disease (asbestosis) and changes in the lining of the chest cavity (pleura). These diseases can lead to reduced respiratory function and death, while long-term inhalation of asbestos fibres also increases the risk of lung cancer and mesothelioma. Some recent reports claimed that the American multinational pharmaceutical giant allegedly knew for decades about the presence of cancer-causing asbestos in their product. The action by CDSCO came at a time the company is already embroiled in a controversy over its faulty hip implants. The company on Wednesday said they were "fully cooperating" with the CDSCO by providing tests and samples, and asserted that the characterisation of these visits as 'raids or seizures is "incorrect". "The tests have been conducted in the regular way that the FDA collects samples," the company spokesperson said, adding, "We have scientific evidence to prove that our talcum powder is safe and beneficial for use." The company pointed out that in the past, authorities in India like the FDAs and the CDSCO have confirmed that its products comply with Indian standards and are free of asbestos. "We unequivocally stand by the safety of our products, are fully compliant with regulatory standards and requirements in India and will continue to work with the regulatory authorities," the spokesperson had said.